District Dumpling, an offshoot of New York's Dumpling GO, will serve what it calls a health-conscious Asian and Western fusion menu. It is Dumpling Go's first location in the Washington area. WASHINGTON — District Dumpling, Nando’s Peri Peri and JINYA Ramen Bar are among the new restaurants coming to Merrifield’s already diverse list of restaurants at the Mosaic District this spring and summer. District Dumpling, an offshoot of New York’s Dumpling GO, will serve what it calls a health-conscious Asian and Western fusion menu. It is Dumpling Go’s first location in the Washington area. Nando’s Peri Peri, the South African grilled chicken chain that picked D.C.’s Chinatown for its first U.S. restaurant in 2008, will open an outpost in The Village at Mosaic. 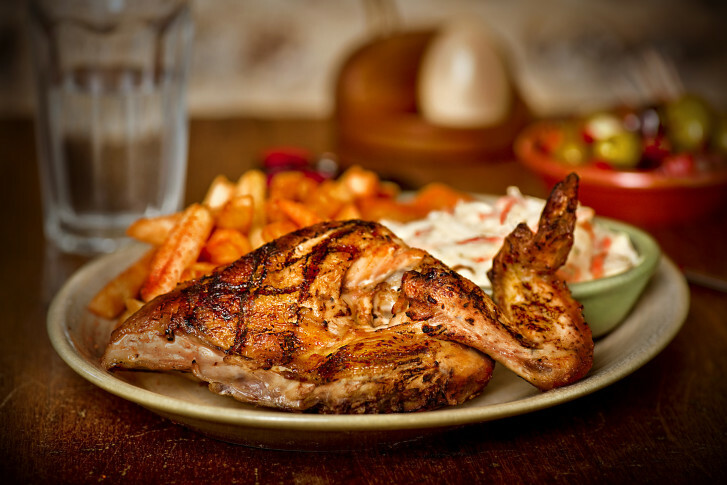 Nando’s has nearly two dozen locations in the Washington region now. JINYA Ramen Bar will serve pork, chicken and vegetarian broth and have both spinach and gluten free ramen noodles on the menu. The new restaurants add to a roster of dining choices at Mosaic that includes Matchbox, Ted’s Bulletin, Taylor Gourmet and Cava Grill. Chef Mike Isabella is scheduled to open Kapnos Kouzina at Mosaic early this year. Several new retailers will open at Mosaic this spring, including women’s boutiques Scout & Molly’s and Undeniable Boutique, health club Elevate Fitness and beauty products chain Bluemercury.